Indulge your sweet tooth with delicious maple products! Traditional cabanes à sucre (sugar shacks) are found especially on the east coast of Canada, among forests of maple trees, and most people flock with family & friends to feast and celebrate the sugars. 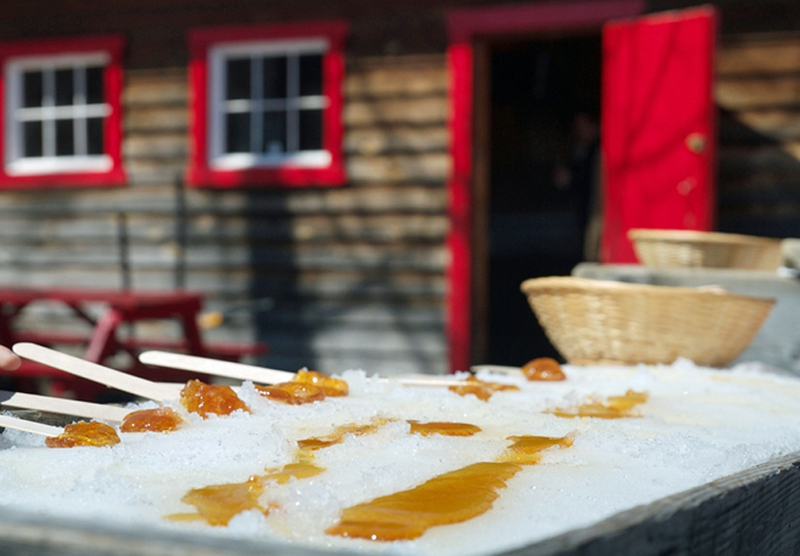 But…Everybody knows that the best part of going to the cabane à sucre, is the tire d’érable (or maple taffy)! Grab your best plaid shirt and join us at the Kicking Horse Sugar Shack, down in the main Plaza, to enjoy traditional Quebec maple syrup on snow, learn some french, live music … and eat tons of taffies!